Having a healthy sense of curiosity can be a good thing - as long as it doesn't get you in a sticky situation! 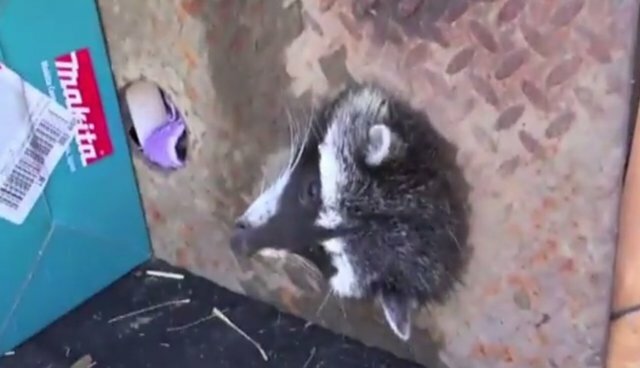 A particularly curious raccoon in Santa Cruz, California found himself in an unusual position when his head became tightly wedged in the hole of a drain cover. The Santa Cruz County Animal Shelter took the raccoon in, but were unable to free the little guy from the drain cover. Luckily, Wildlife Emergency Services (WES) came and collected the raccoon. The feisty little critter wasn't too happy about all of the fuss, though. WES workers had to sedate the raccoon before they could begin the labor-intensive process of cutting him free. 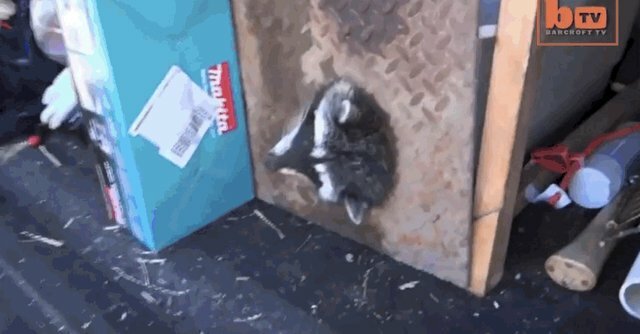 The raccoon had managed to wedge himself in so tight that rescue workers knew the drain cover would have to be cut off. Using an angle grinder, workers spent over half an hour carefully cutting away at the drain cover. 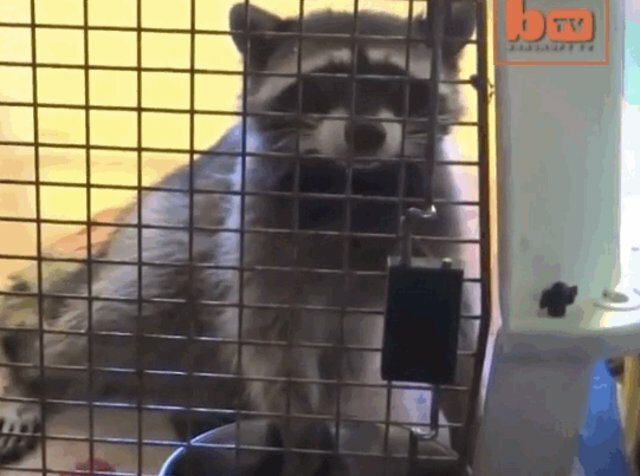 At last the raccoon was free! A veterinarian examined the little fellow and found that, fortunately, all of his wounds were superficial. 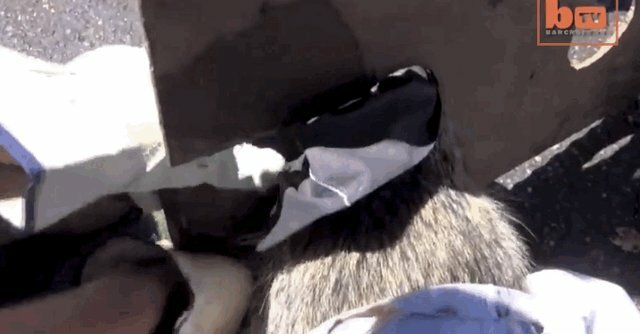 The sore area on the raccoon's neck was treated with a topical, healing antibiotic spray. The raccoon recovered quickly from his harrowing incident, and after a filling snack of water and fruit, he was released back into the wild. 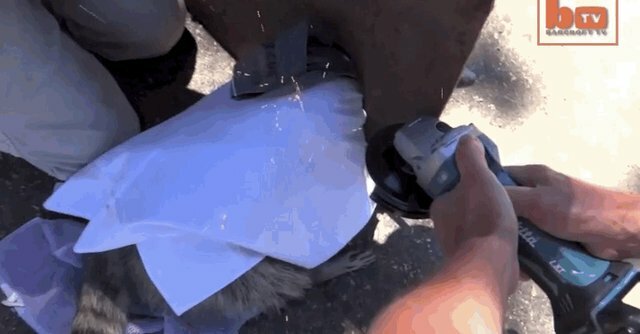 Raccoons have gotten into sticky situations like this before, as they are opportunistic scavengers and often live in urban areas. Though raccoons are often dissed for digging through garbage cans, there are ways to ensure that you can peacefully coexist with any neighborhood raccoons (one of which is, of course, securing your garbage can). According to the Washington Department of Fish & Wildlife, "As long as raccoons are kept out of human homes, not cornered, and not treated as pets, they are not dangerous."